If you're reading this, you're either one of the RSS-subscribers, or I have just pointed you, as a visitor of LJCUC02, to this location. org.apache.ace.discovery.property.cfg to point to my machine that works as a server; at time of writing, my IP is 192.168.1.24.
org.apache.ace.identification.property.cfg to give you some unique name. Don't use spaces or punctuation for this, and clashes gives an undefined state. Remember, this is usually a managed environment. "De kracht van Scrum" (bol) is a short story, written in Dutch, telling the tale of a CTO with all the usual suspects of problems in his organization, and his journey into Scrum. The book poses and answers all the usual questions and concerns one might have when adopting Scrum, and shows an example of a possible method of transition. I believe the authors have deliberately erred on the side of simplicity, flattening some of the mechanisms, and posing certain solutions as the best (or maybe only?) way. This is very much in line with the goal of the story, which is mainly to "inspire". I don't believe this book is the best possible story to inspire Scrum adoption from 'up above', but it is by far the best I have seen so far. It being in Dutch is an advantage for my projects, but I think an English edition would be a welcome addition; I haven't found anything like it in another language. In short, "De kracht van Scrum" is a welcome addition to my gift chest when starting new projects, as I already had "Scrum & XP from the Trenches" (pdf, amazon, bol) for the new Scrum Masters. Insipred by the 15 minute weblog, I created a demo of Ruby on Rails for my colleagues. The material for this demo is listed below. The presentation is used to explain concepts, and to illustrate elements of the case we use. The speaker notes contain instructions on the order in which to do stuff on the command line, in the text editor, in the browser, and when to point out something using keynote. When typing like a maniac, you should be able to get through this in about an hour. Have fun! I like to connect stuff to OSGi (like GWT). This time, I created a set of connectors for FitNesse, and wrote about it at the Luminis Software Development blog. Sway (amazon, bol) is one of those books that feels 'done done': well-researched, written with a sharp clarity and factualness that rivals Malcolm Gladwell's, and a sense of imparting upon you the wisdom of ages. Last year, at around the same time, I read Dan Ariely's Predictably Irrational (amazon, bol). 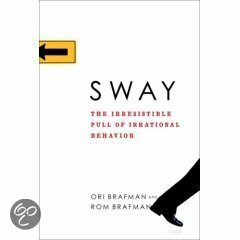 Sway takes it one step further: being written by two brothers, one a pyschologist, and one an "organizational thinker" (I believe the book credits him as "economist"), it has a unique style, that leaps through years of research, picking the juiciest bits of scientific literature and, dare I call it, trivia, and distills it into an easy to swallow chunks of insight. Somehow, I can't stay away from food metaphors describing this book. Highly recommended! To regard OSGi as an ecosystem, we will have to move away from services-in-the-large. The guys at TurnkeyLinux.org have, among other stuff, a very useful Rails VM. As useful as it is out of the box, I like to use together with Capistrano. To do so, it needs some minor tweaks. When you're using svn+ssh as I am, you will want to connect to your subversion server once, for instance using something like svn info svn+ssh://angelo@192.168.2.4/svn This gives ssh the chance to 'get to know' your server. There, with a few minor tweaks, you can start using an off-the-shelf VM for you Capistrano deployment. I personally use one of these to test my deployment scripts, and hence use it as a staging server. Some time soon, I will (a) do a walkthrough of building an application that can readily be deployed onto this VM, and (b) show how you can use Capistrano to deploy to both a staging environment in one of these VM's, and to a 'real' production server. Fosdem is by far the geekiest conference, and the largest collection of geeks in a single place I have seen in a long time. Time for some highlights of day one! By the way, if you're in the pictures above, and would rather not be, let me know. Open source at large companies is a strange keynote; Brooke Davis didn't use any presentation material (probably decided for him by the equipment), but was still surprised by his slides as they appeared on his display. As for the contents, I'm... intrigued. The product he talked about, "Aerosource", is an internal project consisting of a Trac/SVN mashup at his institute, and not fully open source. Furthermore, I'd say calling Bugzilla a 'best of breed' issue tracker is a bit curious. Internet crime is, indeed, big business. Groovy feels an awful lot like Ruby; I have some thought on that and parallelization. The coreboot talks really spoke to my own inner geek. I've seen the details of the hardware involved in booting up your machine, and was talked through the assembler code that handles flashing the BIOS. Good stuff. I created a quick presentation (intended time about 20 minutes) to provide a manager's working knowledge of scrum. As an experiment, I used Prezi for this. Unfortunately, Wordpress.com does not yet allow embedding of Prezi. Still, enjoy Scrum in a nutshell - for managers on Prezi. During my Christmas holidays, I read "Prince2: a no nonsense management guide". Time for some reflection. I've had my Bialetti Brikka for roughly a month now, and I really like it. Time to share some experiences! Unlike Ruby on Rails on Mac, installing this stuff requires some work on Windows. I will show you how to install the necessary tools, and get a first application up and running. For a company meeting, I prepared a 30-minute introduction to Ruby, showing the things that struck me as a Java programmer. Enjoy! The Slideshare presentation above does not have the snazzy keynote effects; you can find those in the original keynote file. There's also a pdf version. By the way, if you're interested, I learned Ruby using the online ruby tutorial at Linuxtopia. This blog has been sitting idly for a few weeks now, and I have decided to finally move in. Most content on this blog will be pointing to my content written elsewhere; however, we may one day see some original content here. I'm a committer on the Apache ACE project. For the talk I gave at Øredev, I prepared some screencasts in stead of giving a live demo (in the interest of time). If you're interested, have a look! I went to Øredev 2009 both to visit the conference, and to deliver a talk on Apache ACE. I have written about my experience on the Luminis LSD blog. You can find the slideset of the Dynamic Deployment talk on Slideshare. Update 2010-05-08 And the video is up! Check it out at http://oredev.com/videos/dynamic-deployment-with-osgi. Let's face it, agile processes have some scary components ("what, you want me to tell what I'm doing every day?!"). You somehow have to find the right people.